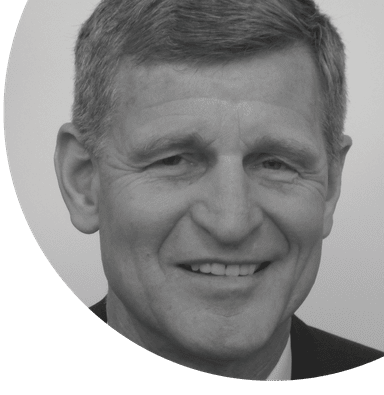 MICHAEL TAYLOR, MSPH, CIH, is chief safety, health, and environmental officer for The Church of Jesus Christ of Latter-day Saints and a member of the Joint Industrial Hygiene Ethics Education Committee. He can be reached at taylorjm@ldschurch.org. Perhaps surprisingly for some readers, unmanned aerial vehicles (UAVs), also known as drones, are an emerging issue for some IH and EHS professionals. UAVs are aircraft that can be flown by a pilot at a ground control station; they can also fly autonomously based on preprogrammed flight plans or more complex dynamic automation systems. Commercial and hobby use of UAVs is exploding: some observers predicted that as many as one million UAVs would be sold during the 2015 holiday season. More advanced UAVs can be used for environmental and IH sampling in high-risk and inaccessible areas, disaster investigations, safety and workflow surveys, pre- and post-blasting surveys, demolition surveys and environmental sampling, quality control inspections of building exteriors, inspection of hard-to-reach places on structures, and aerial surveys and mapping. UAVs can significantly reduce costs compared to traditional aerial surveys. And because they can hover and go places that other aircraft cannot, they also reduce the risk to personnel who would have had to do the job before UAVs were available. However, there are several ethical issues related to UAV use for IHs to consider. UAVs are an emerging issue for some IH and EHS professionals. Operators could lose control of UAVs for various reasons, and the resulting risk to bystanders may be difficult to control. Is the risk of an uncontrolled drone striking and injuring workers acceptable? The commercial use of UAVs is new, and their effectiveness and limitations may not be fully understood. Are there tried-and-true methods of evaluating the hazard that might do a better job or be more cost effective? Businesses must meet commercial FAA requirements. Does the UAV operator have a commercial license? To get around this requirement, some businesses claim that their UAV operators are hobbyists. What are the potential risks to the company from hiring an unlicensed UAV operator? The regulatory environment is uncertain. There are no established local, state, or federal regulations for commercial use of UAVs. Some municipalities have implemented informal, but often unenforced, rules or ordinances regarding the use of UAVs. Do you know what the UAV regulations are in your local jurisdiction? The FAA currently bans commercial use without an exemption under Section 333 of the FAA Modernization and Reform Act of 2012 (FMRA 333 waiver) and a Certificate of Authorization (COA) to operate a UAV in certain areas and with certain restrictions. Has the UAV operator obtained an FMRA 333 waiver? Have you considered legal risks such as property damage, privacy violation, trespass, and nuisance? For noncommercial use, nuisance and trespassing statutes most likely apply. Although these statutes were not specifically created to deal with the operation of a UAV, existing case law illustrates that they have been successfully used in prosecution of cases involving UAV operation over private property. Have you evaluated the benefits and risks of in-house use of UAVs and obtaining FAA approval or hiring a qualified subcontractor to do UAV work? Have you considered the benefit of transferring potential liability? Consult your broker or insurance carrier on how to insure UAV risk. GENERAL GUIDELINES FOR USE OF UAVS Given these concerns, some employers are developing guidelines for use of UAVs. The guidance discussed here comes from a fact sheet prepared for my employer that was reviewed by more than 20 safety and health professionals. It is best practice for property owners to approve all UAV operations on or over private property in advance of the flight. The request for approval should specify the flight plan, including flight routes, times and dates that flights will occur, forecasted duration of the flights, name of the pilot in command, purpose of the flight, name of the sponsoring entity or organization, and documentation of adequate general liability insurance. If the flight plan details change, a modified request should be submitted and reapproved. The property owner should reserve the right to cancel or terminate UAV operations at any time. When the UAV is operated over private property, the pilot should remain within the line of sight of the UAV, and the UAV should not exceed vertical travel of 400 feet above ground level. When a UAV is operated off of privately owned property, such as over a wilderness area or through a canyon, reasonable efforts should be made for the pilot to remain within line of sight of the UAV. Employers should use only licensed, properly insured operators. The operators should have documentation such as a professional license or certification showing hours of piloting experience as well as previous flights performed. The drone should be commercially produced or contain commercially produced equipment. Basic safety design features should be integrated into the UAV, such as self-test before takeoff, GPS homing, automatic landing, virtual fence (aerial boundary), real-time alert system, and automatic safe landing on critical battery level or invalid command and control input. Flying the UAV directly over a crowd, mass gathering, or individual people should be prohibited. Avoid flying UAVs over or near government buildings, schools, airports, hospitals, unusually congested or trafficked areas, and areas where there might be security risks. Flights in national parks are currently prohibited until the National Park Service determines otherwise. Some state parks have also issued UAV bans. If UAVs are not banned in a specific park, permission should be obtained prior to the operation of a UAV in these areas. AWARENESS AND BEST PRACTICES UAVs are an impressive emerging technology with many applications, and we should be prepared to integrate the use of UAVs into the practice of industrial hygiene. However, we need to be aware of emerging regulations and best practices for UAVs so that we can help protect employees and the public, and advise commercial UAV users on regulatory issues, EHS risks, and potential liability issues. Ethics and Emerging Technologies The ABIH Code of Ethics offers guidance for industrial hygienists related to emerging technologies. The relevant sections of the code are: I.A.1: Comply with laws, regulations, policies and ethical standards governing professional practice of industrial hygiene and related activities. II.A.1: Deliver competent services with objective and independent professional judgment in decision-making. II.C.1: Follow appropriate health and safety procedures, in the course of performing professional duties, to protect clients, employers, employees and the public from conditions where injury and damage are reasonably foreseeable. One of the great things about practicing industrial hygiene and EHS is the opportunity to help address emerging issues. Examples include engineered nanomaterials, electronic cigarettes in the indoor environment, corrosive drywall, asbestos from vermiculite, and so on. At times, working on emerging issues requires IHs to refer to our professional code of ethics for guidance. Relevant excerpts from the code appear below. JIHEEC Seeks Members The Joint Industrial Hygiene Ethics Education Committee (JIHEEC) promotes awareness and understanding of the enforceable code of ethics published by the American Board of Industrial Hygiene (ABIH) as well as the ethical principles of AIHA, ACGIH, and the Academy of Industrial Hygiene. Members interested in serving on the JIHEEC are encouraged to contact Mike Cooper, chair. My first hands-on experience with a UAV was helping with a clip for the welcome video for AIHce 2015 in Salt Lake City, Utah. Members of AIHA's Utah Local Section were asked to do a video selfie in a fun Utah location. We were asked to say, “Yeah! This is the place,” while holding up a sign. A friend recruited me to join him in climbing a local back-country peak and ski down while being filmed by an overhead UAV. Another friend with a commercial UAV climbed the peak with us to do the filming. We were standing on the summit with our skis on and sign in hand. As the UAV approached, the wind from over the summit caught the UAV and sent it into the cirque below. It bounced down the snow-covered slope and crashed into the trees. I was expecting to retrieve small pieces, but it ended up without serious damage, just not airworthy. We did get a less dramatic clip for the welcome video filmed by a hand-held GoPro.